Wholesale reusable bottles are cost effective for both you and your clients, making them the perfect marketing tool. At Factory Direct Promos we work straight with the factory so we can lock in low wholesale pricing that we pass along to you. Reusable bottles are a smart, cost cutting choice for your clients because it saves them the expense of bottled water. Imprint our wholesale 28 oz. 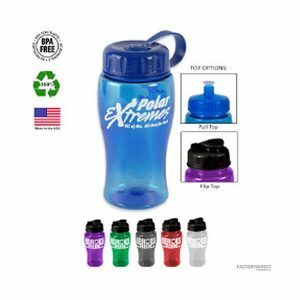 large eco-friendly bottles with your logo or branding message and increase your brand awareness for a great value.